Depression is one of the most widespread illnesses in the Western world, yet it is also one of the most misunderstood and under treated health problems. Approximately 10-14 million people are medically depressed in the U.S. in any given year, yet only one third of depressives receive treatment (1). "Depression is just as socially debilitating as coronary artery disease, and more debilitating than diabetes mellitus or arthritis. Up to 15% of severely ill depressed patients will ultimately commit suicide" (1). Untreated depression carries a huge list of costs: up to 30,000 suicides/year in the U.S., fatal accidents due to impaired concentration and attention; alcohol and drug abuse; lost jobs and productivity; job related injuries; and dysfunctional families, to name just a few (1). 5-HT, DA, and NA are each made from a single amino acid - 5-HT from tryptophan, and DA/NA from either phenylalanine or tyrosine. Hence they are called "monoamine" (MA) neurotransmitters. Since the 1950's various types of drugs have been used by doctors and psychiatrists to enhance brain MA neurotransmitter function. The first medical antidepressant (since retired due to toxic side effects) was iproniazid, a monoamine oxidase inhibitor (MAOI). MAO enzymes are present inside neurons, as well as other cells including the liver, where they serve to break down MA neurotransmitters. Some MAs are broken down by MAOs as soon as they're formed, even before they can be released into the synaptic gap to "fire" the next neuron. MAs which are discharged into the synaptic gap are sooner or later re-taken up by the neuron that secreted them. They are then either repackaged for re-use, or destroyed by MAO enzymes. MAOI drugs thus act to increase the synaptic availability of MAs by preventing their breakdown by MAO enzymes. This may increase the intraneuronal levels of 5-HT and other MAs by 300% (3). However, MAOIs can also increase the neuronal and blood levels of another substance called "tyramine", found in many common foods, and induce severe, even fatal, high blood pressure reactions unless a rigid low-tyramine diet is followed, as well other side effects, such as postural hypotension, sexual dysfunction, heart problems and insomnia (4). The next generation of drugs believed to enhance brain 5-HT and NA became available in the 1960s: the tricyclic antidepressants (TCA), such as imipramine and amitryptilene. TCAs seem to attach to and inhibit the neuronal re-uptake sites for 5-HT and NA, preventing the return of the MAs to the neuron which secreted them. This enhances MA action in two ways. Since most MAs returned to their source neuron are broken down by MAO enzymes, TCAs slow MA breakdown. TCAs also cause more 5-HT and NA to remain in the synaptic gap, thereby increasing 5-HT/NA neuro-transmission. However, TCAs also affect other receptors on neurons which respond to acetylcholine, histamine, and DA. TCAs thus suffer from a wide range of unpleasant side effects, ranging from drowsiness, confusion and blurred vision to hypotension and movement disorders (5). TCAs are now considered "antiquated" by, most psychiatrists, yet many general practice physicians still favor them. The 1980s spawned the current favorites among antidepressant drugs: the serotonin-specific reuptake inhibitors (SSRIs). The first and most famous of these is fluoxetine (Prozac ®). Other SSRIs such as paroxetine (Paxil ®), sertaline (Zoloft ®) and fluroxamine (Luvox ®) are also now in vogue in America and Europe. These drugs are used to treat eating disorders and obsessive-compulsive disorders as well as depression. They have put 5-HT (serotonin) "on the map" with the general public as "the mood molecule." 5-HT drugs were the cover story for Time magazine on September 29, 1997. The Time article noted: "So far, the [drug] tools used to manipulate serotonin in the brain are more like machetes than scalpels-crudely effective but capable of doing plenty of collateral damage." Robert Julien, in his text A Primer of Drug Action, notes that side effects of Prozac ® may include nervousness, anxiety, sexual dysfunction, insomnia, nausea, loss of appetite, motor restlessness and muscle rigidity (5). Psychiatrist Peter Breggin, in Talking Back To Prozac, also provides evidence that Prozac ® may actually damage serotonergic nerves and create an addictive-necessity for long-term Prozac ® use, as well as incline some users to sudden suicide with no prior warning (6). Thus, given their side effect profiles, their xenobiotic nature (they're molecules foreign to normal brain metabolism), and their need for rigid special diets and/or careful medical monitoring to insure safe usage, the MAOIs, TCAs and SSRIs cannot reasonably be considered the ideal remedies for depression. Fortunately, neuroscience over the past 40 years has also uncovered some simpler and more natural remedies for depression, as well as several "life-extension" drugs with far more safe and gentle antidepressant effect. Studies with humans and animals over the past 35 years have shown that 5-HT (serotonin) nerve circuits promote feelings of well-being, calm, personal security, relaxation, confidence and concentration (7). 5-HT neural circuits also help counterbalance the tendency of overactive (e.g. due to genetics, stress or drugs) DA and NA circuits to encourage over arousal, fear, anger, tension, aggression and violence, obsessive compulsive actions, anxiety and sleep disturbance (7). A deficiency of 5-HT nerve action has been shown to manifest as a broad array of emotional and behavioral problems, ranging from depression, premenstrual syndrome, anxiety, alcoholism and overeating to compulsive gambling, fire-starting, thrill-seeking through violence and suicide. There is rarely a problem with the structure or "wiring" of the brain's 5-HT circuits. Rather the problem is caused by a chronic deficit of 5-HT in the nerves which use it as their neurotransmitter. It is no coincidence that the most popular psychiatric drugs in history are the SSRIs, and the common thread connecting MAOIs, TCAs, and SSRIs is their 5-HT neural effects. 5-HT is the "Achilles heel" of the human brain. Yet no neuron suffered a literal deficiency of these xenobiotic drug molecules. 5-HT neurons can, and frequently do, however, suffer a deficit of the raw material from which neurons normally produce 5-HT: the essential amino acid tryptophan (Tryp). In any normal diet, animal or vegetarian protein based, Tryp is the least plentiful of the 22 dietary amino acids. A typical diet provides only 0.75 to 1.5 grams Tryp/day, yet there is much competition in the body for this scarce amino. It is used to make various proteins, and in people with low to moderate intakes of vitamin B3 (niacin/niacinamide), Tryp may be used by the liver to make the coenzyme form of B3-NAD- at the expensive ratio of 60mg Tryp to one mg niacin (8). In people who are even marginally vitamin B6 deficient, Tryp may be immediately degraded by the liver into the mildly toxic metabolites hydroxykynurenine, xanthurenic acid, and hydroxyanthranilic acid, then excreted in urine (9). Thus, the brain typically receives less than 1% of ingested Tryp. Yet even getting its modest share of dietary Tryp is difficult for the brain, due to the blood-brain barrier (BBB). The BBB serves as a protection to prevent many toxins, as well as excesses of nutrients which might temporarily overwhelm and dysregulate brain function, from entering the brain. 5-HT itself cannot penetrate the BBB, although Tryp can. Yet the BBB creates difficulties even for essential nutrients to enter the brain. Amino acids must be carried through the BBB by a special transport protein, like passengers on a bus. Unfortunately for 5-HT using neurons, Tryp must share its "transport bus" with 5 other amino acids: phenylalanine, tyrosine, valine, leucine and isoleucine. Tryp is typically outnumbered about 9:1 in its competition to secure its transport through the BBB into the brain. Eating a high protein diet to provide more Tryp only worsens the problem, by increasing even more the intake of the 5 competing aminos. Ironically the only dietary strategy which increases brain Tryp is to eat a high carbohydrate/low protein diet. When large amounts of carbos are eaten, the body secretes large amounts of the hormone insulin to lower the ensuing high blood sugar. Insulin also clears from the blood much of the 5 aminos that compete with tryp for entry through the BBB. Insulin has relatively little effect on clearing Tryp from the blood, however, thus allowing Tryp more space on the BBB "transport bus," and thus more Tryp reaches the brain. R. and J. Wurtman reported in 1988 and 1989 that women suffering from PMS-related depression were found to spontaneously increase their carbo food and snack intake, without increasing protein, during their depressive phase, with a consequent significant decrease in measured depression ratings, presumably through the insulin-Tryp-5-HT mechanism (10,11). Unfortunately, insulin also promotes conversion of the incoming food to stored body fat. Hence the high carbohydrate diet method of enhancing brain Tryp/5-HT merely trades depression for obesity and chronic carbo addiction/over consumption. 35 years of research has provided a pair of alternatives to enhance brain 5-HT levels with consequent lessening of 5-HT related depression. Many studies have shown both Tryp and its metabolite, 5-hydroxytryptophan (5-HTP), to be capable of enhancing brain serotonin and relieving depression when taken as supplements (12-21). Taking Tryp as a dietary supplement is the most natural way to solve the brain's 5-HT production problems. A Tryp supplement, unlike a high protein diet, will not increase blood levels of Tryp's 5 amino competitors. Since the normal dietary intake of tryp is only a gram or so, even a modest amount of supplemental Tryp (1 to 3 grams) will have a significant effect in boosting blood and brain Tryp, and hence brain 5-HT levels. Under normal conditions, the brain enzyme Tryp hydroxylase (TpH) is only 50% saturated (22). TpH is the rate-limiting factor in 5-HT production, converting Tryp to 5HTP. This means that an increase in brain Tryp will automatically tend to increase brain 5HTP production. After TpH converts Tryp to 5HTP, a vitamin B6-dependent carboxylase enzyme then rapidly converts 5HTP to 5-HT. However, increased brain production of 5-HT through Tryp supplementation does not automatically increase 5-HT nerve activity. At low levels of psychobiologic arousal, there will be adequate serotonin to support the correlative low 5-HT nerve activity, even when neuron levels of Tryp and 5-HT are low (22). This more apathetic, vegetative quiescent variety of depression ("I'm so depressed I can't even get out of bed") is referred to as the "apathetic-inhibited" type (22). This form of depression represents more of a deficiency of activity of the DA/NA "yang" "get-up-and-go", activating neural circuits, and so Tryp/5-HT may offer little relief to, or even worsen, this type of depression. At higher levels of arousal, however, the more rapid turnover of 5-HT in the synaptic gap will require higher levels of 5-HT production to adequately maintain the greater activity of 5-HT circuits. Thus Young and Teff suggest that Tryp will be most effective as an anti-depressant in those suffering from "anxious-agitated" depression, with its high state of stress arousal, combined with the depression (22). Anxious, agitated depression occurs when a person's DA/NA activating ("yang") neural circuits are functioning strongly, without the calming, relaxing, mellowing 5-HT circuits ("yin") functioning strongly as a complementary counterbalance. The biggest drawback to using Tryp to solve 5-HT deficiency depression is the activity of the liver Tryp degrading enzyme, Tryp pyrrolase (TP). TP is known to be activated by two factors (23). The first is the hormone cortisol. Cortisol, the "state of siege" stress hormone, is known to be frequently elevated in the very conditions, such as depression and insomnia, for which Tryp might be helpful. Taking Gerovital-H3 ®, low dose Dilantin, or 7-Keto® DHEA may provide an anti-cortisol activity to prevent cortisol activation of tryp-destroying TP. The other TP-activating factor is- Tryp itself! Tryp is known to induce and stabilize TP, thus keeping it active in destroying Tryp as it passes through the liver. Thus Yuweiler and colleagues point out that successful Tryp antidepressant studies have generally used low doses (3 grams or less) compared with Tryp studies having negative results, which have often used high doses (6-9 grams) (23). The higher doses could ironically lessen the antidepressant effect of Tryp by hyper activating liver TP, which would then catabolize incoming Tryp with great efficiency, canceling out any hoped-for increase in blood/brain Tryp. In a 1984 paper, van Praag also noted the different effects of tryp and 5HTP on DA/NA neurotransmission. Van Praag found significant increases in the spinal fluid concentration of 5HIAA, the serotonin-metabolite, after giving both Tryp and 5HTP to different test subjects. Unlike Tryp, which only raised spinal fluid 5HIAA, 5HTP also raised spinal fluid metabolites of DA and NA, indicating an activating effect of 5HTP of DA/NA neurotransmission as well as 5-HT neurotransmission (26). In a 1983 report, van Praag also demonstrated that among patients who maintained their antidepressant effect from 5HTP over the long term, there was evidence from spinal fluid metabolites of continuing DA/NA activation as well as 5-HT activation. Among patients whose initial positive response to 5HTP dropped off after several months, van Praag found a drop in their initial high levels of DA/NA spinal fluid metabolites as the 5HTP antidepressant effects decreased. When van Praag then gave these patients supplements of tyrosine, the amino acid from which DA and NA are made, along with their 5HTP, their depression once again cleared, while their spinal fluid metabolites of DA/NA also again increased (27). Van Praag thus demonstrated that 5HTP is more than just a better Tryp-it is a "Tryp plus" due to its DA/NA neuroactivation. In their 1988 review of 5HTP antidepressant studies, Zmilacher and co-writers report that "Out of the 17 reviewed studies... 60.5% of all the patients (342 out of 565) showed a good or very good improvement of their depressive state.... A tendency indicating that L-5-HTP was especially effective in patients with an anxious agitated depressive syndrome was observed.... An important finding is the very rapid onset of action (within 3-5 days) in patients responding to treatment." (24). In 1991 Poeldinger and colleagues reported a landmark double-blind study that compared 5HTP with the popular SSRI, fluvoxamine (a Prozac ® "cousin"). Not only did 5HTP prove to be slightly superior to fluvoxamine in antidepressant action, but 5HTP patients had significantly fewer and less serious side effects (mostly GI) than patients receiving fluvoxamine (28). Thus, not only is 5HTP an effective and more natural alternative to the SSRIs, but it is also less side-effect prone. Tryp and 5HTP may be used separately or together to improve serotonin metabolism. Tryp may best be taken at bedtime, 1-3 grams. 5HTP may be taken with meals, 50-100 mg, once or twice daily. Initial GI symptoms from 5HTP, if they occur, will frequently disappear with continued use. If not, then using only Tryp may still provide adequate 5HT antidepressant effect. Tryp and 5HTP will potentate the effects of MAOI, TCA and SSRI drugs, and they may possibly precipitate the "serotonin syndrome" if combined with these drugs. The fortunately rare 5-HT syndrome, as reported by H. Sternbach in 1991 (29), involves extreme hyperactivity of 5-HT neural circuits and may include confusion, hypomania. agitation, "feeling drunk," as well as extreme restlessness, muscle twitches, hyperactive reflexes, intense sweating, shivering, tremor, diarrhoea, fever and in coordination. Occasionally coma or death may result. Thus, although Tryp or 5HTP may be useful to lessen the needed dosage fro those wishing to remain on standard antidepressant drugs, combining Tryp or 5HTP with antidepressant drugs, or altering current drug dosages, should be done ONLY under expert medical supervision to avoid inducing the serotonin syndrome. Also, one should never suddenly stop antidepressant drugs and replace them with Tryp or 5HTP. Any cessation of current antidepressant drug therapy should be done gradually, and only under expert medical supervision, to avoid possible depression relapse. 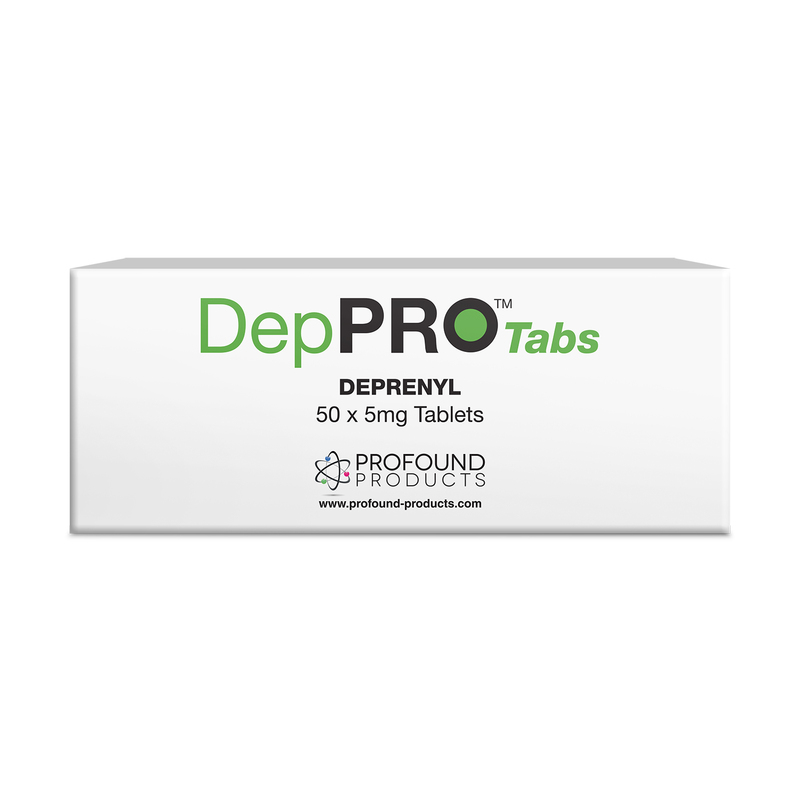 L-deprenyl (DPR) is a drug developed in the 1960s by Dr. Joseph Knoll. Research has shown DPR to be a safe and multi-faceted drug. At doses of 10-15mg/day or less for humans, DPR is a selective MAO-B inhibitor. MAO-A enzymes break down 5-HT and NA, while MAO-B enzymes break down DA and phenylethylamine (PEA). Classic MAOIs, such as phenelzine and tranylcypromine, inhibit both MAO-A and MAO-B. Classic MAOIs also routinely suffer from the "cheese effect" - the tendency to promote serious, even fatal high blood pressure crises from ingestion of tyramine-rich foods such as aged cheeses and wines. DPR is remarkably free from the "cheese effect" even at typically high daily doses of 30-60mg (4,30). DPR also suppresses the free radical/oxidant stress associated with increased DA neuron activity, as occurs in Parkinson's disease (31). DPR protects DA neurons in monkeys from MPTP, a neurotoxin that has caused rapid-onset Parkinson's disease in humans who unwittingly consumed it in recreational drugs (32). DPR has extended the average life span of male rats beyond the maximum age of death of the species. And DPR has been successfully used as an antidepressant. In 1980 Mendelwicz and Youdin reported results from a double-blind study comparing placebo, 300mg 5HTP, and 5HTP plus DPR. The 18 patients receiving DPR plus 5HTP experienced depression relief significantly greater than those receiving placebo or 5HTP alone (34). All of the preceding studies were relatively short-term, typically 3 to 6 weeks. Although only minimal side effects were noted, even at the unusually high DPR doses of 30-60 mg/day, the researchers did express concern about possible side effects at these higher doses with more typical long-term (months to years) antidepressant usage. Two successful studies with treatment-resistant depressives have been done, however, that used very modest DPR doses of 5-10mg/day. At this low dose, DPR remains a purely MAO-B inhibitor and is normally fairly side-effect free, even with long-term use. Sleeplessness, tension and anxiety were noted as adverse reactions - these are symptoms of DA/NA over-activation uncompensated for by counterbalancing serotonin activation - Tryp would have been appropriate to complement the DPR/phenylalanine treatment. Birkmayer reports surprisingly excellent results based on modified Hamilton depression rating scale and global clinical impressions: 68.5% full remission and 21.5% moderate effect in the outpatients, with 69.5% full remission and 11% mild and moderate effects in the outpatients. Both the Birkmayer group and Sabelli relate the combined DPR/phenylalamine treatment to enhancement of phenylethylamine (PEA) metabolism. PEA and DA are the main substrates for MÅO-B, which DPR inhibits. PEA is formed from phenylamine with the help of a B6-activated enzyme. PEA is a trace amine that may potentate neuronal firing rates of NA/DA neurons, especially when they're underactive (37). Sabelli has shown that depressives have significantly lower blood and urine levels of PAA (the chief PEA breakdown product) than non-depressed controls. He also notes that effective antidepressant treatment usually increases urinary PAA excretion, while antidepressant treatment that fails to successfully ameliorate depression also fails to increase urinary PAA excretion. Low values of PAA excretion were observed in both retarded and agitated depressives (38). In addition to being converted to PEA, phenylalamine can also be converted into the two "yang" neurotransmitters, NA and DA (39). Thus, a low dose DPR (5-10 mg), moderate dose l-phenylalamine (250 - 500 mg once or twice daily) and 50 -100 mg dose of vitamin B6 regimen may serve to enhance mood, drive, and energy in the "apathetic-inhibited" type of depression, while Tryp may serve to inhibit potential "overactivation" side effects of insomnia, anxiety and irritability. J.G. and W. Birkmayer are pioneers in the use of NADH. NADH is the active, reduced (electron-rich) coenzyme from of vitamin B3 - nicotinamide. NAD/NADH is the most plentiful coenzyme in the human brain. NADH is the key in converting food into ATP bioenergy. During normal oxidative metabolism, NADH is formed in both the glycolytic and citric acid (Krebs') cycles, and transferred to the electron transport chain, where each NADH can generate 3 ATPs. NADH is the "lynch-pin" of oxidative energy metabolism (40). NADH is also the indirect activator of tyrosine hydroxylase (TH), the rate-limiting enzyme in the formation of DA and NA. TH converts the amino acid tyrosine into L-dopa. It can also convert phenylalamine into tyrosine. DA neurons convert L-dopa into DA, while NA neurons convert L-dopa first to DA, then into NA. The Birkmayers and others had noticed that many Parkinson's patients suffer from depression, and the Birkmayers also observed their depressive symptoms disappear when successfully treating Parkinson's patients with NADH. They therefore decided to use NADH in an open label (non-double blind) trial with 205 patients suffering depression with various symptoms. NADH was given orally, intramuscularly or intravenously, with doses of 5 to 12.5 mg. Duration of therapy ranged from 5 to 310 days. 93% of the patients exhibited some degree of a beneficial clinical effect (41). Gabriel Cousens, M.D. has also successfully used NADH to treat depression in his practice, based on Birkmayers' work. He states that "About 85% of my clients with depression seem to benefit from taking NADH.... they may feel results from it within three weeks, sometimes sooner. I'm very pleased with its antidepressant effect." (41A) Because of its combined energy-enhancing role (the brain produces and uses 20% of the body's ATP energy total) and its ability to stimulate DA/NA production, 5-10 mg NADH, taken once or twice daily on an empty stomach, may serve as a useful complement to the DPR/phenylalanine program or may be simply used as a single therapy. Gerovital-H3 ® (GH3) (specially stabilized procaine) was developed in the 1940s by Ana Aslan in Romania. It is the original "anti-aging" drug. In addition to its various physical benefits, such as improved joint mobility and pain relief, it was known by the 1960s that GH3 possessed antidepressant effect. By the 1970s at least part of the basis of GH3's antidepressant effect was known, GH3 was discovered to be a weak, reversible, fully competitive MAO inhibitor (42, 43). The more toxic and dangerous MAOIs, such as iproniazid and phenelzine, are strong, irreversible, non-competitive MAO inhibitors. It is this difference which makes them prone to the "cheese effect," i.e. potentially fatal hypertensive crises in patients who eat a tyramine-rich diet while taking them. GH3 researchers M.D. MacFarlane and H. Besbris noted that in contrast, "...the use of GH3 for the treatment of depression and for other manifestations of aging has not been associated with any significant adverse reactions and there are no restrictions regarding the type of food the GH3 patient can enjoy." (42) And contrary to the claims of critics that there is no difference between GH3 and ordinary procaine, MacFarlane noted that "when the ability of GH3 to inhibit MAO was compared with that of procaine hydrochloride (Novocain), it was found that GH3 produced a significantly greater inhibition of MAO than did procaine." (43) Zung and colleagues also remarked on the difference between GH3 and procaine: "Procaine when injected in the human body is rapidly hydrolysed by cholinesterase into para-aminobenzoic acid (PABA) and diethylaminoethanol (DEAE). In the case of procaine in the GH3 formula, metabolic studies... show that the intact molecules of procaine can be found in blood or urine after six hours of administration of the drug." (44) Being a safe and effective (albeit mild) MAOI, GH3 can be expected to help raise DA, NA, and 5 HT through inhibition of their neuronal MAO destruction, with consequent antidepressant effect. W. Zung and co-workers reported a successful double-blind, placebo trial comparing GH3 with the TCA imipramine in 1974. They concluded that "... the results of this study showed that using the clinical global impression and the Zung self depression scale, the change scores obtained from calculating pre-treatment to post-treatment differences showed GH3 to be superior to imipramine, since the GH3-placebo differences were significantly different, while the imipramine-placebo differences were not." (44) The table listing side effects in the Zung study also shows that GH3 produced fewer side effects than both imipramine and placebo! In 1984 paper pharmaceutical researcher Alfred Sapse expounded the disease-promoting power of chronic, excessive, stress-released cortisol. He gave a short list of substances that could oppose cortisol's negative actions. 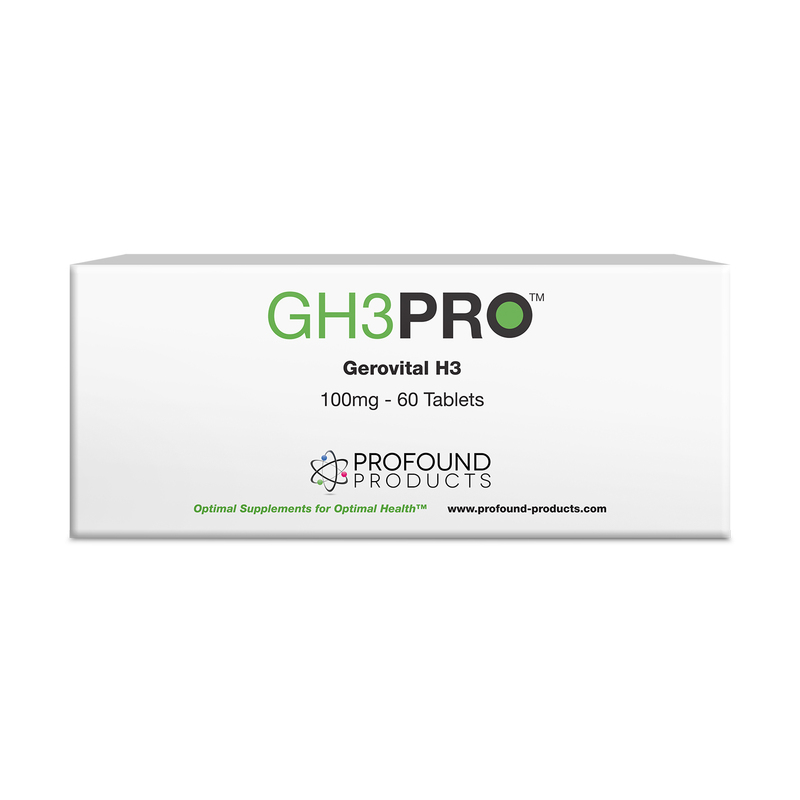 GH3 was one of five anti-cortisol agents Sapse recommended (46). And as Murphy and Wolkowitz point out, "Major depression is associated with a high incidence of cortisol hypersecretion.... this hypercorisolism is the most well-replicated biological abnormality in major depression...." (47) Thus, GH3's anti-cortisol action may also enhance its antidepressant effect. Because of cortisol's power to induce liver Tryp pyrrolase, the Tryp-destroying enzyme, GH3's ability to reduce cortisol may also provide antidepressant effect through enhancing brain Tryp, and hence, brain 5-HT status. Thus, one tablet of GH3, taken once or twice daily (AM/PM) on an empty stomach may be a safe yet effective antidepressant, alone or in a combination with others in this article. S-adenosylmethionine (SAMe) has recently become known to the public as an antidote for one of the most important heart disease risk factors, homocysteine. A large number of studies have also shown SAMe to be an excellent and rapid-acting (often 3-7 days) antidepressant (48-53). As SAMe research pioneer G. Stramentinoli has stated, "[SAMe] is an important physiologic compound that occurs in every living cell.... SAMe is probably second only to ATP [the basic energy molecule of life] in the variety of reactions in which it serves as a cofactor." (54) SAMe is the linchpin of all the body's transmethylation reactions. "...methyltransferase reactions... shift the 'active' methyl group of SAMe to a wide variety of methyl 'acceptor' molecules, including ... biogenic amines [neurotransmitters], fatty acids and phospholipids, proteins, nucleic acids, polysaccharides and porphyrins. In this role SAMe is the most important methyl group donor in mammalian tissue." (48) SAMe's methyl group makes possible the production of neuronutrient acetyl-l-carnitine, the stress hormone and neuro-transmitter adrenalin, and the neuronutrient and chief neuronal membrane fluidizer phosphatidye choline (55). SAMe has been shown to significantly increase cerebrospinal fluid levels of HVA and 5HIAA, the chief metabolites of DA and 5-HT. SAMe has been shown in antidepressant studies to possess mood-elevating and behaviorally arousing effects due to the SAMe-increased DA and 5-HT activity, and due to a selective excitatory action on cortical neurons in the brain (48). In 1994 G.M. Bressa reported a meta-analysis of 31 prior studies of SAMe's antidepressant effects. "The average [antidepressant] effect size of SAMe... derived from our meta-analysis of placebo-controlled trials is therefore slightly higher than that obtained by Greenberg et al ... for both standard tricyclic antidepressants and relatively newer antidepressants.... Since SAMe is a naturally occurring compound with relatively few side effects, its antidepressant effect makes it a potentially important tool [for treatment of depression]." (53) In general, side effects in SAMe studies are few and mild. In some studies SAMe induced fewer or less serious side effects than placebo! For example, in a double blind study with 734 people comparing SAMe with the painkiller naproxen and placebo, 10 people withdrew from the study due to side effects from SAMe, compared with 13 from placebo and 17 from naproxen side effects (56). The most commonly reported side effects are gastrointestinal - primarily heartburn, nausea, and stomach ache (57). However, the GI effects seem to be mediated through the brain - they are not the result of direct GI tract irritation. SAMe actually inhibits and protects against GI lining damage and irritation. The other occasionally reported side effect of SAMe is mania or hypomania - i.e. excessive mood elevation and over stimulation. This side effect is reported far more rarely than the GI side effects. SAMe-induced mania may on occasion be serious enough to warrant lithium treatment to end the mania. Bipolar (manic) depressives should therefore use SAMe with caution. SAMe has been given orally in doses ranging from 400 mg/day to 1600 mg/day. SAMe is usually given in two or three doses daily, with 10 AM and 3 PM being a common time for twice daily administration (57). Starting with low dose (200 - 300 mg) once or twice daily and working up to higher doses if necessary is the best strategy. Because SAMe tablets are (or should be) enteric-coated, they should not be cut in half to achieve a lower dose - the SAMe may then break down before absorption. 2. Willner, P. Depression: A Psychobiological Synthesis N.Y.C. : John Wiley, 1985. 4. Quitkin, F.M. et al (1984) "L-deprenyl in atypical depressives" Arch Gen Psychiatry 41: 777-81. 5. Julien, R.M. Å Primer of Drug Action NYC: W.H. Freeman, 1995. 6. Breggin, P.R. Talking Back To Prozac NYC: St. Martin's Press, 1994. 7. Robertson, J. & Monte, T. Natural Prozac ® San Francisco: Harper, 1997. 8. Pike, R.L. & Brown, M.L. Nutrition: An Integrated Approach NYC: MacMillan, 1984. 9. Gaby, A. B6: The Natural Healer New Canaan: Keats, 1984. 10. Wurtman, J.J. (1988) "Carbohydrate craving, mood changes and obesity" J Clin Psychiatry (Supplement) 49: 37-39. 11. Wurtman, J.J., Brzezinski, A. & Wurtman, R.J. (1989) "Effect of nutrient intake on premenstrual depression" Ann J Obstet Gynecol 161: 1228-34. 12. Thomson, J. et al (1982) "The treatment of depression in general practice: a comparison of L-Tryptophan, amitriptyline, and a combination of L-Tryptophan with placebo" Psychol Med 12: 741-51. 13. van Praag, H.M. (1984) "Studies in the mechanism of action of serotonin precursors in depression" Psychopharmacol Bull 20: 599-601. 14. van Praag, H.M. (1987) "Therapeutic indications for serotonin potentiating compounds: a hypothesis" Biol Psychiatry 22: 205-12. 15. Sandyk, R. "L-Tryptophan in neuropsychiatric disorders, a review" Int J Neuroscience 67: 124-44. 16. Takahashi, S., Kondo, H. & Kato, N. (1975) "Effect of L-5-hydroxytryptophan on brain monoamine metabolism and evaluation of its effect in depressed patients" J Psychiat Res 12: 177-87. 17. van Praag, H.M. (1983) "In search of the mode of action of antidepressants: 5-HTP/tyrosine mixtures in depressions" Neuropharmacol 22: 433-40. 18. Kaneko, M. et al (1979) "L-5-HTP treatment and serum 5HT level after L-5-HTP loading on depressed patients" Neuropsychobiol 5: 232-40. 19. van Hiele, L.J. (1980) "L-5-hydroxytryptophan in depression: the first substitution therapy in psychiatry?" Neuropsychobiol 6: 230-40. 20. Zmilacher, K. et al (1988) "L-5-hydroxytryptophan alone and in combination with a peripheral decarboxylase inhibitor in the treatment of depression" Neuropsychobiol 20: 28-35. 21. Byerley, W.F. et al (1987) "5-hydroxytryptophan: a review of its antidepressant efficacy and adverse effects" J Clin Psychopharmacol 7: 127-37. 22. Young, S.N. & Teff, K.L. (1989) "Tryptophan availability, 5HT synthesis and 5HT function" Prog Neuro-Psychopharmacol & Biol Psychiatry 13: 373-79. 23. Yuwiler, A. et al (1981) "Short-term and repetitive administration of oral tryptophan in normal men" Arch Gen Psychiatry 38: 619-26. 26. van Praag, 1984, op. cit. 27. van Praag, 1983, op. cit. 28. Poeldinger, W. et al (1991) "A functional-dimensional approach to depression: serotonin deficiency as a target syndrome in a comparison of 5-hydroxytryptophan and fluvoxamine" Psychopathol 24: 53-81. 29. Sternbach, H. (1991) "The serotonin syndrome" Am J Psychiatry 148: 705-13. 30. Sunderland, T. et al (1994) "High dose selegiline in treatment-resistant older depressive patients" Arch Gen Psychiatry 51: 607-15. 31. Cohen, G. & Spina, M.B. (1989) "Deprenyl suppresses the oxidant stress associated with increased dopamine turnover" Ann Neurol 26: 689-90. 32. Knoll, J. (1989) "The pharmacology of selegiline (-deprenyl) New aspects" Acta Neurol Scand 126: 83-91. 33. Mann. J.J. et al (1989) "A controlled study of the antidepressant efficacy and side effects 0f (-)-deprenyl" Arch Gen Psychiatry 46: 45-50. 34. Mendelwicz, J. & Youdin, M.B. (1980) "Antidepressant potentiation of 5-hydroxytryptophan by L-deprenyl in effective illness" J Affective Disord 2: 137-46. 35. Birkmayer, W. et al (1984) "L-deprenyl plus L-phenylalanine in the treatment of depression" J Neural Transmission 59: 81-87. 36. Sabelli, H.C. (1991) "Rapid treatment of depression with selegiline-phenylalanine combination" J Clin Psychiatry 52: 137. 37. Greenshaw, A.J. (1989) "Functional interactions of 2-phenylethylamine and of tryptamine with brain catecholamines" Prog Neuro-Psychopharmacol & Biol Psychiat 13: 431-43. 38. Sabelli, H.C. (1986) "Clinical studies on the phenyletylamine hypothesis of affective disorder" J Clin Psychiatry 47: 66-70. 39. Gibson, C.J. (1983) "Control of monoamine synthesis by amino acid precursors" Adv Biol Psychiat 10: 4-18. 40. Birkmayer, G. NADH, The Energizing Coenzyme. New Canaan: Keats, 1998. 41. Birkmayer, W. et al (1992) "The coenzyme nicotinamide adenine dinucleotide (NADH) as biological anti-depressive agent" New Trends Clin Neuropharmacol 6: 75-86. 41a. Cousens, G. Depression-Free for life. NYC: William Morrow, 2000. 42. MacFarlane, M.D. & Besbris, H. (1974) "Procaine (Gerovital H3) therapy: Mechanism of inhibition of monoamine oxidase" J Am Ger Soc 22: 365-71. 43. MacFarlane, M.D. (1975) "Procaine HCL (Gerovital H3): A weak, reversible, fully competitive inhibitor of monoamine oxidase" Fed Proc 34: 108-10. 44. Zung. W.K. et al (1974) "Pharmacology of depression in the aged: Evaluation of GH3 as an antidepressant drug" Psychosomatics 15: 127-31. 45. Cohen, S. & Ditman, K.S. (1974) "Gerovital H3 in the treatment of the depressed aging patient" Psychosomatics 15: 15-19. 46. Sapse, A. (1984) "Stress, cortisol, interferon and stress diseases" Med Hypoth 13: 31-44. 47. Murphy, B.E. & Wolkowitz, O.M. (1993) "The pathophysiologic significance of hyperadrenocorticism: antiglucocorticoid strategies" Psychiat Ann 23: 682-90. 48. Baldessarini, R.J. (1987) "Neuropharmacology of S-Adenosyl-L-Methionine" Ann J Med 83(Suppl 5A): 95-103. 49. Carney, M.W. et al (1987) "S-adenosylmethionine and affective disorder" Ann J Med 83(Suppl 5A) 104-06. 50. Kagan, B.L. et al (1990) "Oral S-adenosylmethionine in depression: a randomised, double-blind, placebo controlled trial" Ann J Psychiatry 147: 591-95. 51. de Vanna, M. & Rigamonti, R. (1992) "Oral S-Adenosyl-L-Methionine in depression" Curr Ther Res 52: 478-85. 52. Criconia, A.M. et al (1994) "Results of treatment with S-Adenosyl-L-Methionine in patients with major depression and internal illnesses" Curr Ther Res 55: 666-74. 53. Bressa, G.M. (1994) "S-Adenosyl-L-Methionine (SAMe) as antidepressant: meta-analysis of clinical studies" Acta Neurol Scand: Suppl 154: 7-14. 54. Stramentinoli, G. (1987) "Pharmacologic aspects of [SAMe]" Ann J Med 83 (Suppl 5A): 35-42. 55. Mathews, C. & van Holde, K. Biochemistry, pp. 708-15. Redwood City CA: Benjamin/Cummings Pub., 1990. 56. Caruso, I. & Pietrogrande, V. (1987) "...Comparing [SAMe], naproxen and placebo in the treatment of degenerative joint disease" Ann J Med 83 (Suppl 5A): 66-71. 57. Konig, B. (1987) "A long term (2 years) clinical trial with [SAMe] for the treatment of osteoarthritis" Ann J Med 83 (Suppl 5A): 89-94.